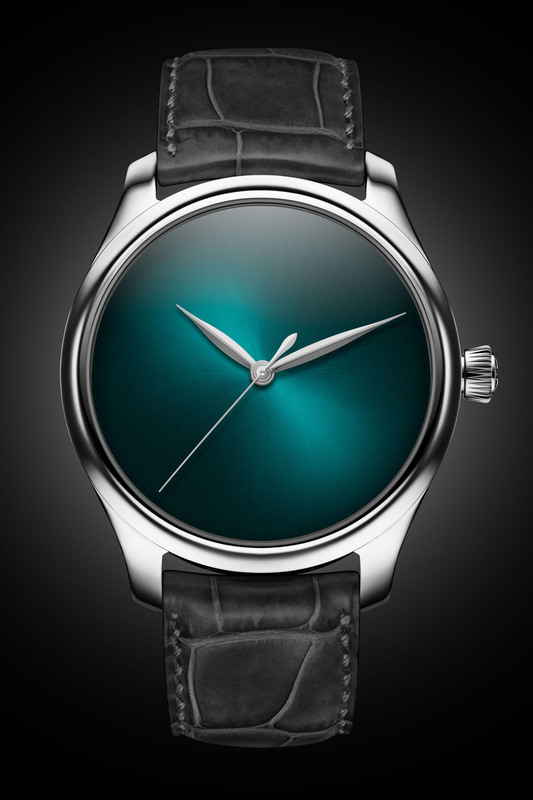 The signature Fumé dial by Moser in a new colour - and nothing to interrupt the wearer’s view on it. 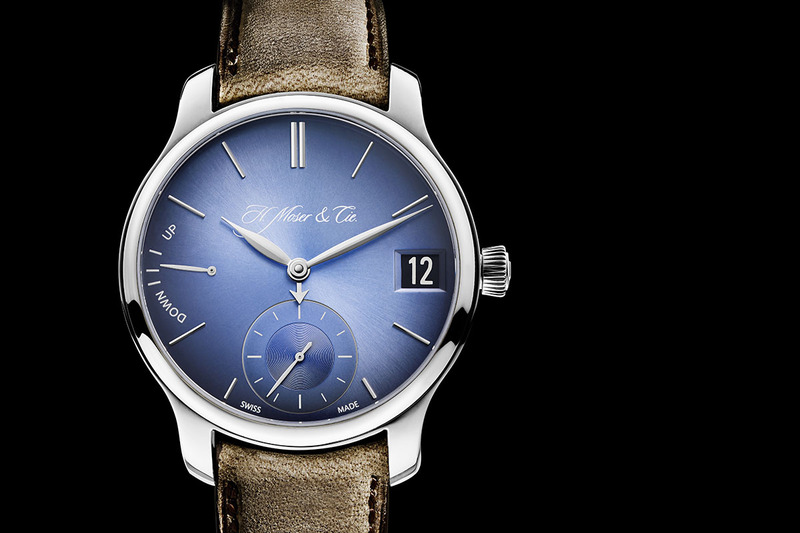 When you make something incredible, like a gorgeous fumé dial, for example, you really want to let it shine. 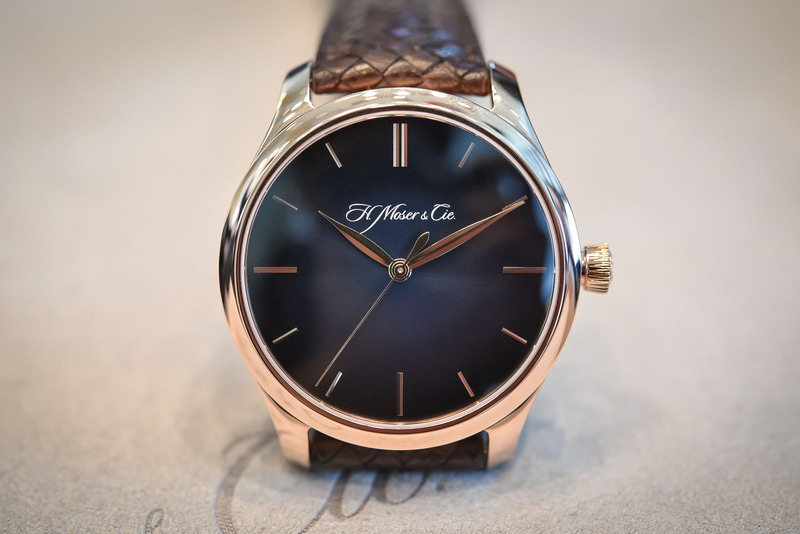 And that’s exactly what H. Moser & Cie. has done with the latest version of its Endeavour Centre Seconds Automatic. 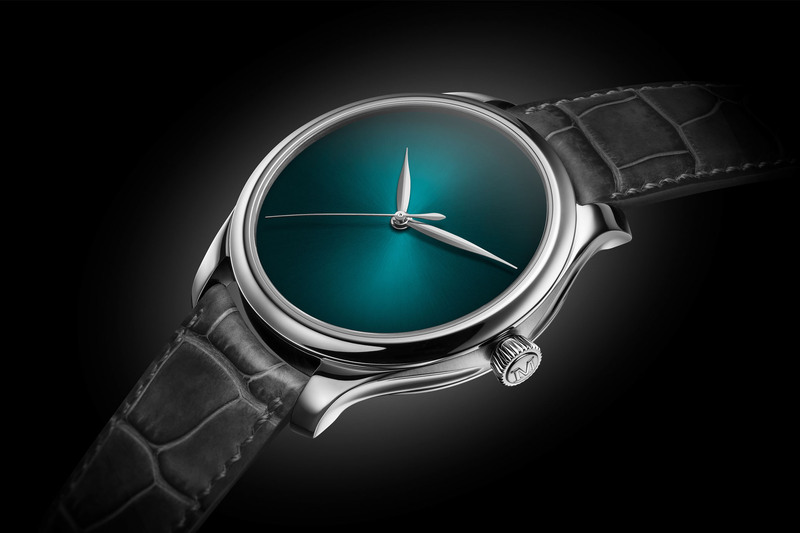 Nothing interrupts the wearer’s view of the iridescent Blue Lagoon dial, other than the three hands necessary for telling the time. No hour markers, no text on the dial, just pure luxury at its minimalist best. This naked dial concept isn’t new to Moser – the most recent example being the impossibly black Endeavour Perpetual Moon Concept VantaBlack. 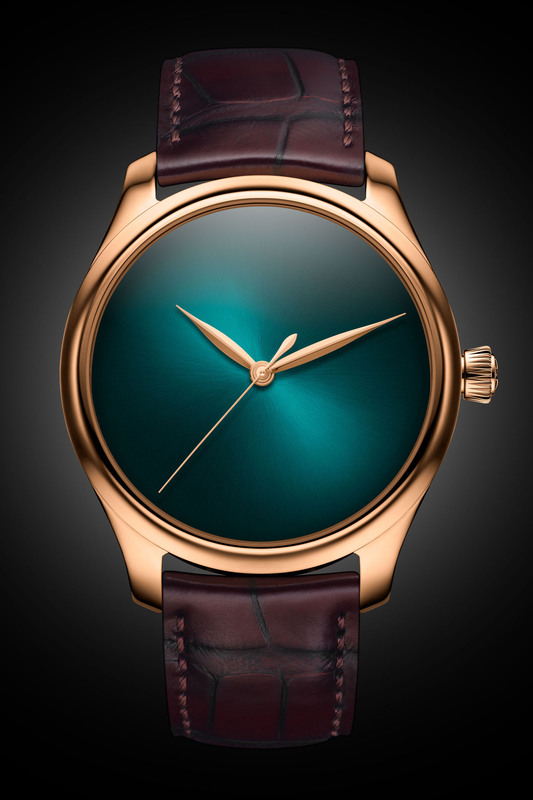 And who could forget the mesmerising Endeavour Tourbillon Concept? 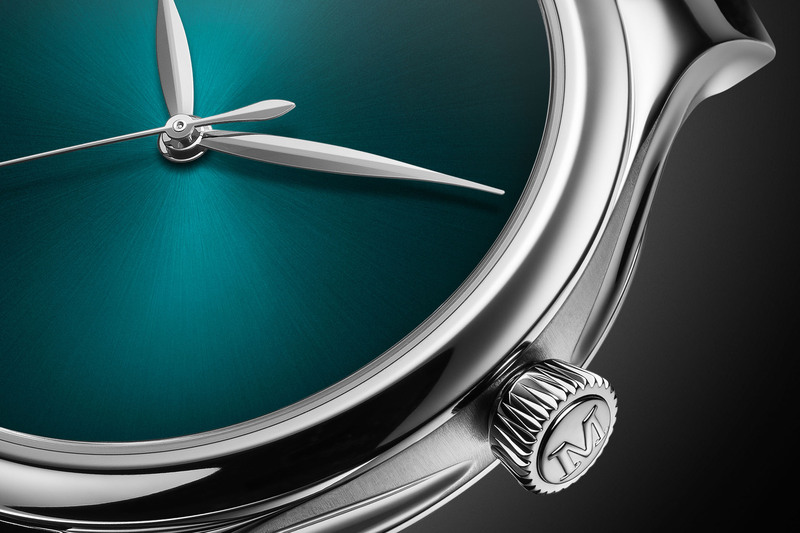 This is, however, the first time the exquisite Blue Lagoon dial colour, inspired by tropical lagoons, has been paired with a model from the Endeavour family. Looking at the results, I’m surprised they waited this long. 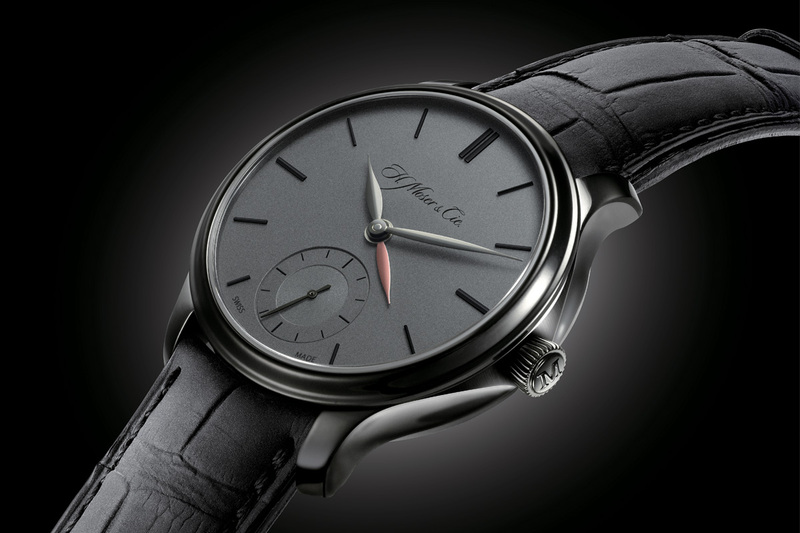 Outside of the stunning, minimalist dial, however, these new models are exactly the same as the originals. Rebecca spent some time hands-on with them last year and you can read her excellent write up here. Available in a solid white or red gold case measuring 40mm x 10.7mm, alternating polished and vertically brushed parts help create a very visually appearing watch. 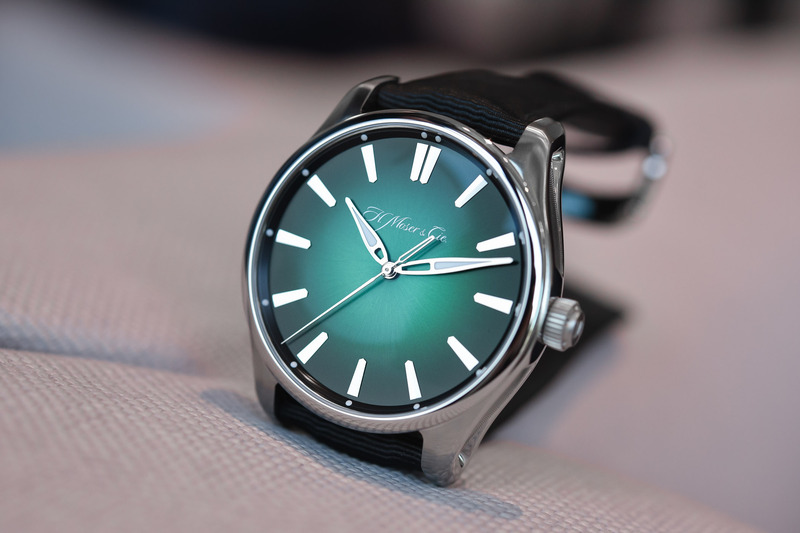 This is accentuated further by the Blue Lagoon fumé dials with sunburst finish. As I mentioned above, there is no text on the dial or indexes, only leaf-shaped hour and minute hands in the same metal as the case. Both versions look absolutely stunning in the press photos but I think my preference is probably for the red gold version. But only just. The case has a gently curved ergonomic back ensuring a comfortable fit on the wrist. 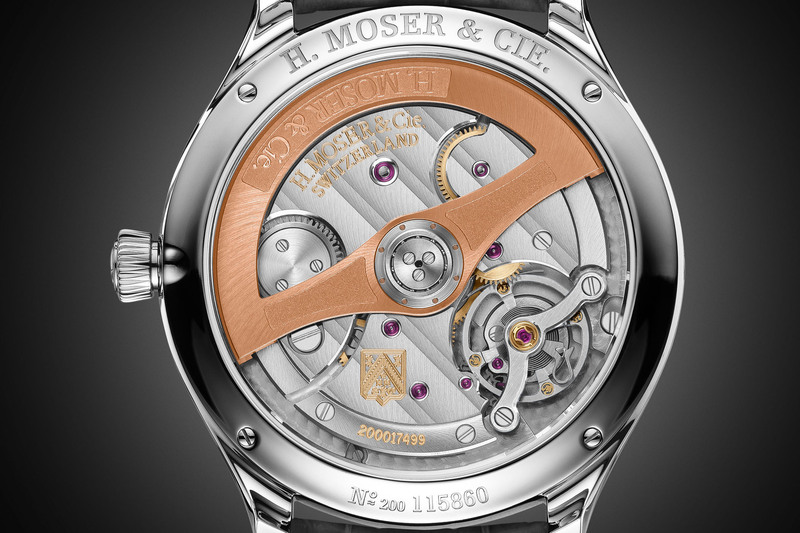 Inside is the Manufacture Calibre HMC 200, a self-winding movement that offers 72 hours of power reserve. 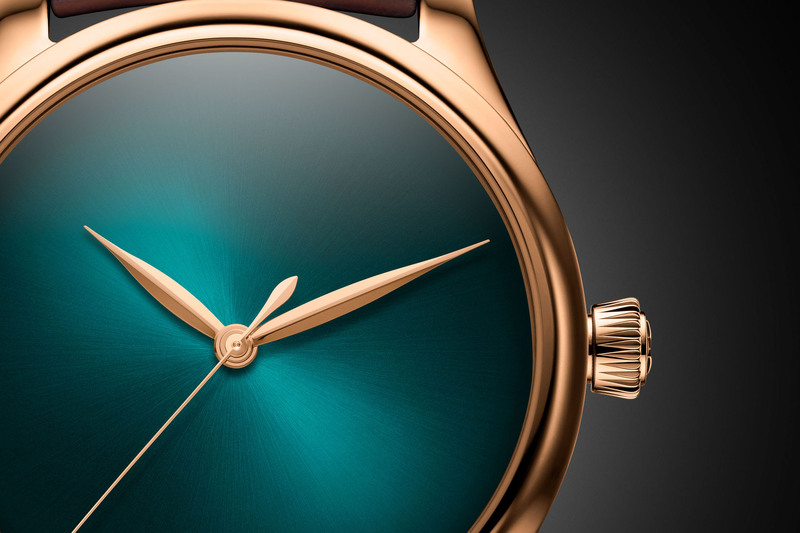 Visible through the sapphire caseback is the large engraved gold oscillating weight and the hallmark Moser double stripes, polished angles and perlage. Again, nothing we haven’t seen before but a stunning package nevertheless and one that is sure to be appreciated by connoisseurs. Both versions will be offered as a limited edition of 50 pieces each. 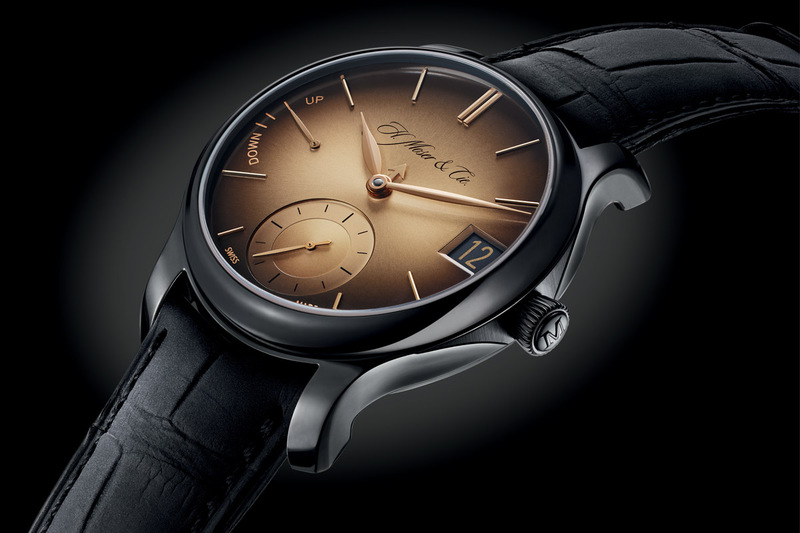 The red gold version (Ref 1200-0404) is worn on a brown alligator leather strap, while the white gold version (Ref 1200-0206) comes on grey alligator leather. Price to be confirmed. More details at www.h-moser.com. Reference 1200-0206, 18-carat white gold model, Blue Lagoon dial, grey alligator leather strap, limited edition of 50 pieces.